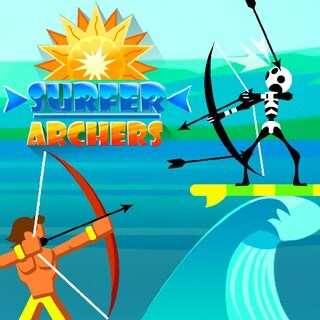 Evil skeletons have invaded your favorite beach and now it's up to the brave surfers to destroy them in this fast-paced archery game! Grab a bow and kill the enemies before they kill you. Simply aim and tap to shoot your arrows. Go for a headshot to immediately disable your opponents or hit them twice in the torso, arms or legs. Earn coins and buy powerful boosters to help you stay alive and try to score as many points as possible!